As Careem enters Chapter 2 and we move more into platformisation, we’re proud to be supporting the region’s digital future, through our technology, infrastructure, and our diverse and talented people. Hear straight from some of our talented tech colleagues who are making this happen – find out what they do and how they got into this line of work. Which team are you part of and what do you do? I work in data science at Careem – that means I’m making gold out of data. And what’s the overall mission of the data science team? In the Careem data science team, we’re trying to find the optimal way for everything. For example, allocating subsidies to the captains or promos codes in real time. 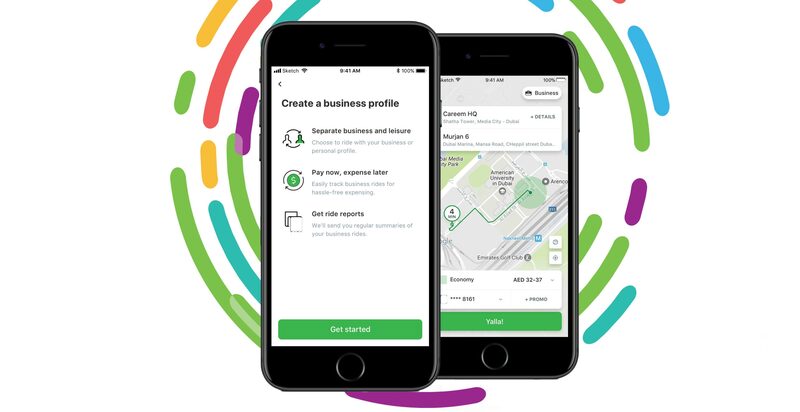 We’ve collected a lot of data in the last six years since Careem launched and we use this information to better understand how our customers behave, and how our system is working at any moment – optimal or suboptimal. Most of my work at Careem involves using data in the marketplace, meaning I’m trying to match customers with the captains… and there are trillions of ways to do that. That’s a huge task, how do you go about it? Because we are operating in 15 different countries, we’ve built our own machine-learning tools that can scale your model up to incorporate all of the countries, all of the cities, and apply to all different car types. Careem has more than a million trips per day globally and these millions of trips create at least 30 million records per day, maybe more. With so much data to analyse, we built lots of bespoke tools to help. To give you an idea, here’s an example. Within a ten second time-period, you have a thousand bookings for any specific area, and there are two thousand captains available, and obviously, there are trillions of ways to match them. So how do we find the optimal one? We have a team of 50 people – and growing – to work on things like this. We work in squads and every squad has a machine learning engineer, two or three data scientists and a project or product manager. How do you apply this data to solve the problems you’re addressing?One of the most interesting uses of our data is demand prediction. To make our system optimal we have to plan ahead, and to do so we need to know how many customers will have opened up the app to make a booking in a particular area within the next couple of weeks. We need to predict demand to place the captains where they need to be, so we have different ways of incentivising captains to go into certain areas. We also build models and define the task, and if it’s not defined, we crunch and fetch huge amounts of data or we mimic the data, to model it to predict the future. Our recent project was for destination prediction to help Careem users make one-click bookings. When you open the app, you see the predictions, the place where you’re most likely to go, so you can just click and call a Careem to get there. How do you use the data to predict future actions? It’s based on what we know about you. For example, this evening, you usually go home around a certain time so when you’re opening the app, on a work-day, at that time, we put “home” as the top option. Likewise, you go to football on a Tuesday night, so when you open the app on a Tuesday early evening, we put the location of where you play football at the top of the list because our data tells us that’s most likely where you’re going. So far, the feedback has been very positive. I code a lot, and my major was coding and mathematics. I won some Olympiads in mathematics when I was younger, but there were no jobs for mathematicians at that time – you could only become a programmer. So, I became one. But then data science field became popular, and mathematicians started getting paid well, and I just caught the wave. I’ve been in DS for four years and love it. For coding we are mostly using *Python/R. What’s cool about our team at Careem is that they have a crazy amount of “home-built tools” for machine learning, like our YODA machine learning platform that takes care of all the problems that data scientists often have, such as scaling, retraining and deploying the models. We also have our own tool for A/B testing. Where were you before joining us? I’ve been at Careem for a year and a half, and prior to this I used to work in the United States at the research lab at Cisco. What inspires you at Careem? Because I’m from Russia and not from the region, when I came here I didn’t feel I was attached to the local problems. But then, maybe after a month or two, I realised how much impact my work has on improving the lives of the people in this region, and It makes me super motivated to come to work every day. I think it’s mostly about how people around actually care about driving the change in the region. So, everybody around you is inspiring you, and you can’t not be inspired by it. Careem has big ambitions with the great scientifically-driven impact-oriented environment. Careem is, without any doubt, the best company in the region. We build our own tools which most companies can’t afford. We work with an amount of data that most companies can’t access, and we solve problems that most of the companies can’t even think about. Are you interested in joining Careem and helping simplify and improve the lives of over 600 million people with cutting-edge data-science and machine learning? We’re hiring.